Terrace in Casa Prisca. For breakfast, mojitos, cigars or a chat. 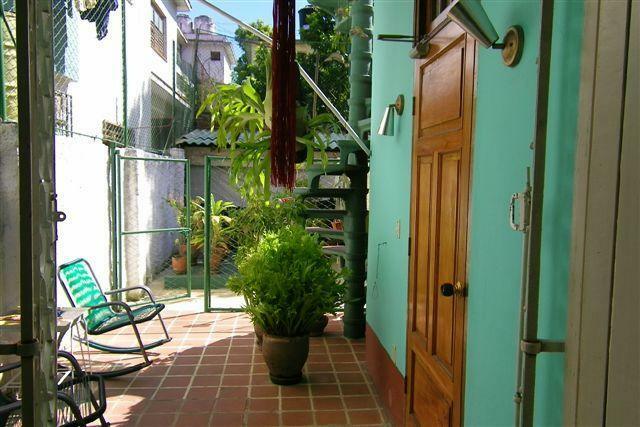 Service, security and best area in Havana: Casa Prisca has it all! Every room with it's own private bathroom (hot and cold water) for the guest only. Water in the shower has pressure (not always the case in the Caribbean). 1000 meters to the University of Havana Bienvenidos estudiantes! Want to visit the famous Plaza de la Revolución? Just a 10 minutes walk. Medical professional? You can walk to the Hospital Calixto Garcia from here. Shorter stays welcomed (from 1 night), please check Reservation fees. The room and the apartment rent for the same price. * Shorter stays welcomed (from 1 night), please check Reservation fees. Ruly Herrera, the son of Prisca who also lives in the house, is a drummer. His group comes to plays in different countries of Europe. 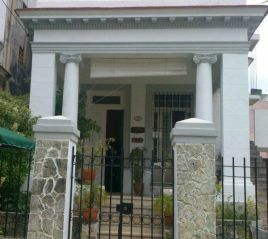 Casa PRISCA (upper photo) is located in Vedado across the street from our Casa Manuel. Bottom photo shows Casa Manuel as seen from Casa Prisca. 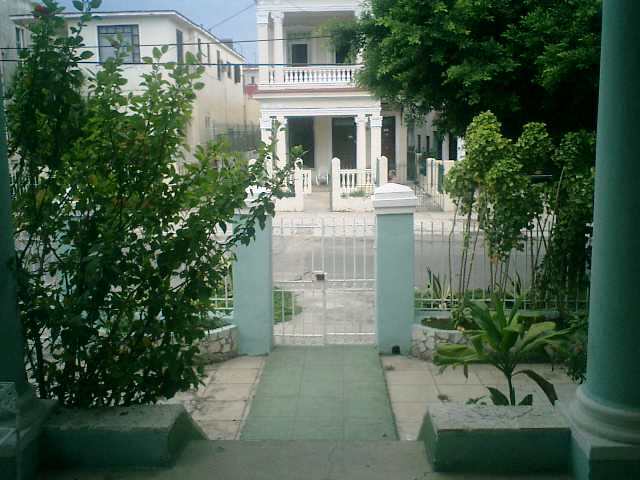 In Cuba a Casa Particular (Private homestay or Bed & Breakfast) would seldom rent more then 2 rooms. 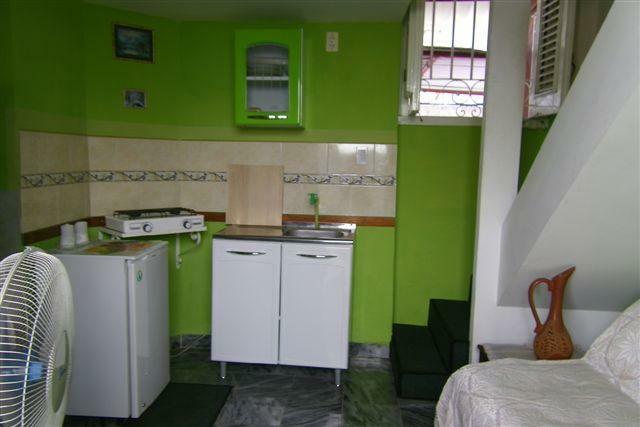 Small traveller groups of about 6-8 persons frequently rent four rooms both Casas: Manuel und Prisca. You'll be welcomed and taken care of here by a musician's family: Prisca ist a music teacher, her husband plays percussion. They have two children: both musicians. But do not worry: you'll sleep well. Guest is King and no music is played at home at night or in the afternoon. 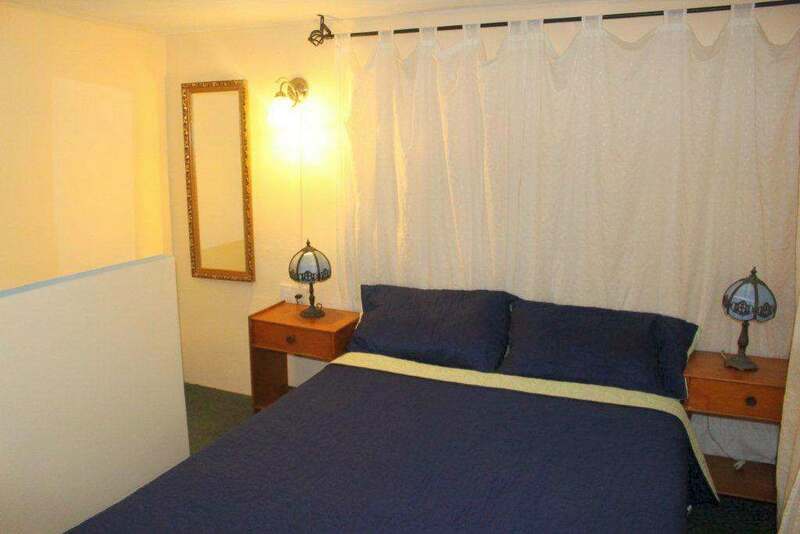 Very nice and friendly hosts, clean room and perfect area. We have stayed one week there. At Prisca and Raul you are going to feel well, because they are very friendly and helpful. I was very pleased with Casa Prisca. 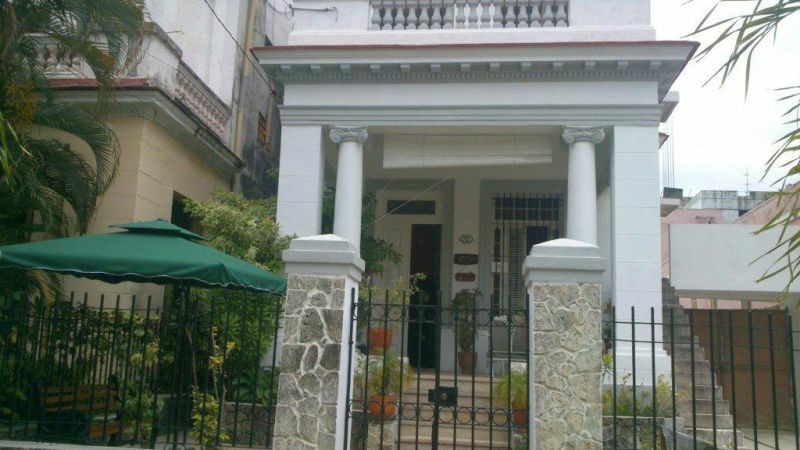 It is well located (near the Plaza de la Revolution) and a small supermarket is also there. All in all, I spent six good days there. I really can recommend this casa. 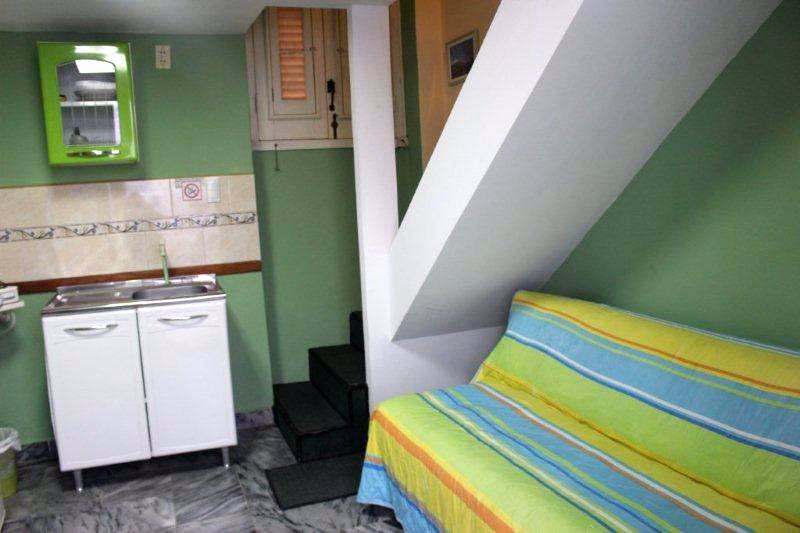 Habitación muy bonita con gente sincero! 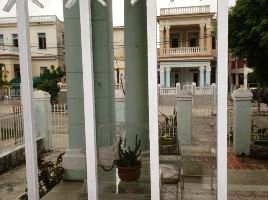 The first stop of a three week trip to Cuba was the Casa Prisca. The airport pickup somehow not work well, but we have made it anyway. The first breakfast was a huge surprise because it was so much and so good and so overwhelming. It was also our first tourist-Cuban breakfast. Because we are vegetarians, we had in restaurants often great difficulty with the food but with Prisca & Raúl we could order excellent meatless dinner. We have also received the first information about the Cuban everyday life and beyond, but unfortunately, unfortunately, even though they are a musicians family, we've never heard music. For Prisca has a Hungarian folk song sung to our great surprise - in Hungarian. She learned it from Raúl, who has spent some time in Hungary. We could leave a few of our things with them and pick up at the end of the trip, which was nice. I did not feel at the Villa Prisca as a stranger. The owners were very polite, nice and helpful. 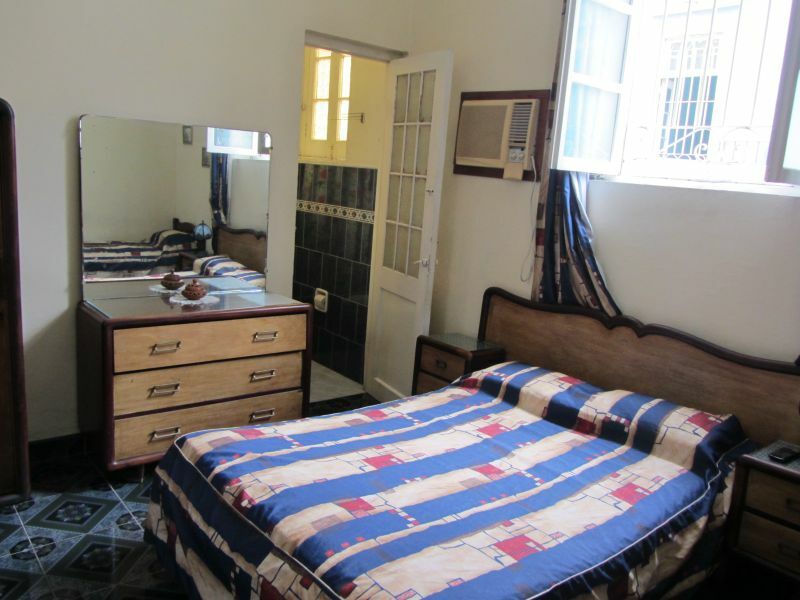 Therefore, I would rent this Casa again at any time during a stay in Havana. Very nice casa! 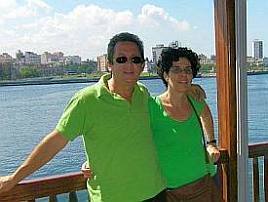 The goal of my trip this year was less the tourist attractions of Havana, which to a large extent I know from my previous trips, but rather learning more about the country and its people and developing existing contacts and adding new ones. From this point of view this trip was a great success. 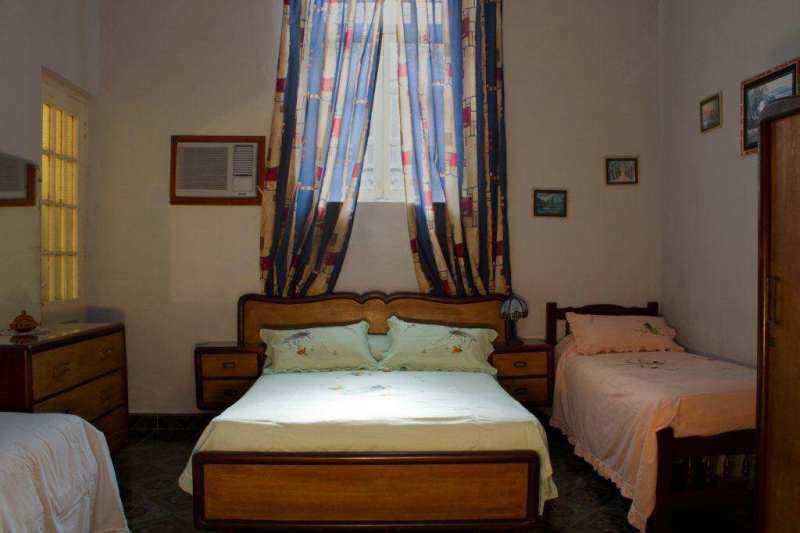 I felt very comfortable at Casa Prisca . The accommodation and the breakfast at Casa Prisca reflected exactly my idea. For me, everything was just perfect. The atmosphere and helpfulness of my hosts was outstanding. Only by lack of Spanish on my part the family contact was somehow limited, but there were no problems to communicate with Prisca in English. My hosts worked very hard to fulfill my extra wishes, for example, by providing a place to study with my private Spanish teacher, giving hints of restaurants nearby, next CADECA office etc. I would like to leave a positive comment on your website, but have not found the correct category in www.holacuba.de. I could reccommend the Casa Prisca for both families as well as individuals. However, one useful thing to have in the future would be a map of the area. In the city, through its design, it is not difficult to find the way quickly. 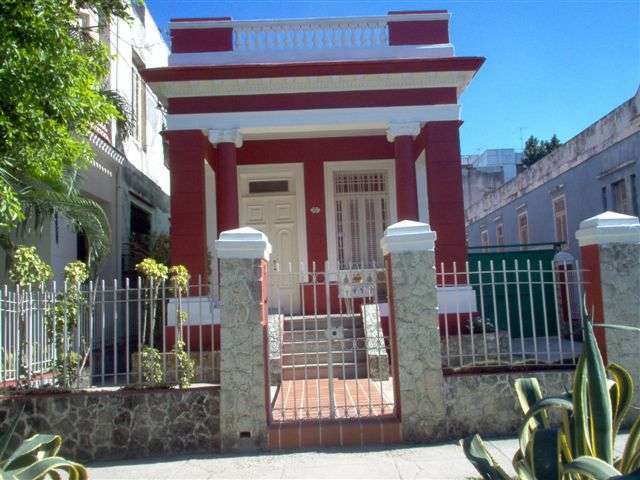 It will certainly not be my last visit to Cuba and to this Casa. We were 11 days in Casa Prisca and have felt very comfortable there without even speaking Spanish. Prisca is wonderful and has the best recommendations for restaurants. Towels and bed linen were all changed every few days and the breakfast was very good (fruit salad, scrambled eggs, toast, jam, coffee). We liked the music in the house. Three afternoons we had live music under the premise that they do not disturb :-) If we return to Cuba, we like to come back to Casa Prisca. We found it super nice. The large covered porch with the old wooden rocking chair is the most beautiful place inviting to converse with a glass of rum exchanging impressions. We particularly liked the family, which is very sophisticated and helpful. The landlady speaks good English, and her husband and her son did their best to understand our inadequate Spanish. Since we are particularly interested in music, it was great that we found ourselves "directly at the source"". Prisca is a musicologist and her son is a percussionist, so that we took with him professional classes and could learn a lot about the rhythms of Cuba and practice them, too. All in all, there we spent two very nice weeks there. I felt almost at home with Prisca and Raul. There is not only a delicious breakfast on the coffee table but, whoever wants it, an encouraging interaction with this family of musicians and other guests. 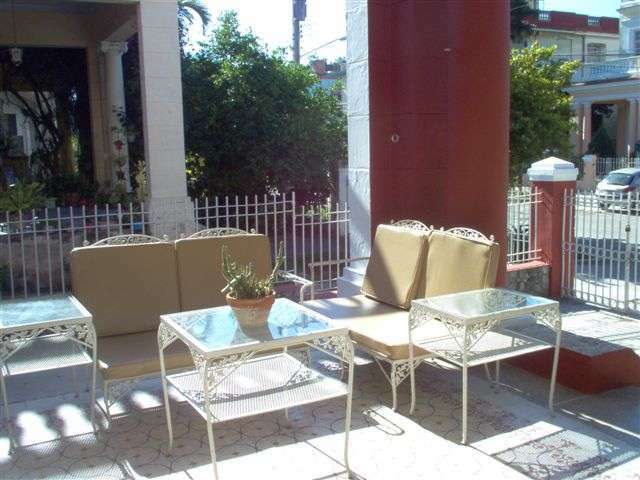 The apartment is located in a very quiet residential neighborhood. You feel secure behind safe doors and also thanks to the alerted dog. And as I manageed to catch a tangible common cold, Prisca provided for very motherly care with even hot soup and vitamin tablets included. A great life and living there.